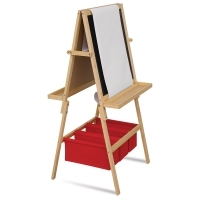 Made of sturdy wood, the Blick Studio Adjustable Activity Easel adjusts in height so it can grow with kids. It also converts to a tabletop easel for even more options. 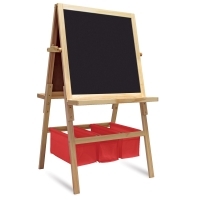 One side of the easel is a chalkboard and the other is a dry erase board. 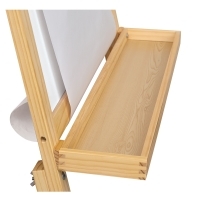 Feed the included 18" × 25 ft paper roll through the top of the easel for a third painting and drawing surface. 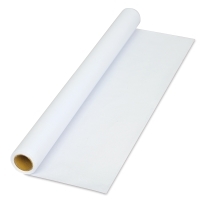 The convenient roll holder keeps paper neatly out of the way, but always within reach. Two large trays and three convenient fabric storage bins corral markers, chalk, and other art supplies. 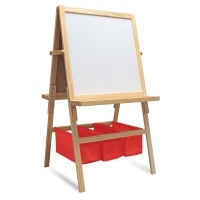 The base of Blick Studio Adjustable Activity Easel measures 26-1/4"W × 23"D and adjusts from 46" to 54" high. 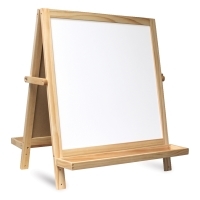 The tabletop easel section is 31-1/2"H × 26-1/4"W × 15-1/4"D.
Some light assembly is required. Instructions included. Recommended for artists ages 4 and up.